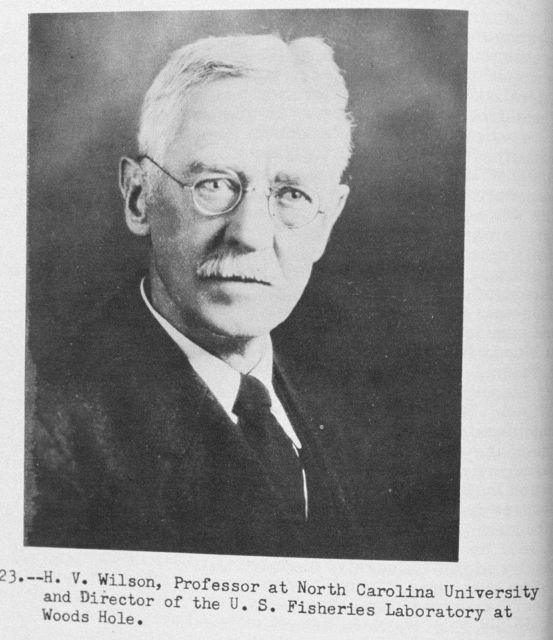 H. V. Wilson, Professor at North Carolina University and Director of the U.S. Fisheries Laboratory at Woods Hole. P. 56. “The Story of the BCF Biological Laboratory Woods Hole, Massachusetts,” by P. S.